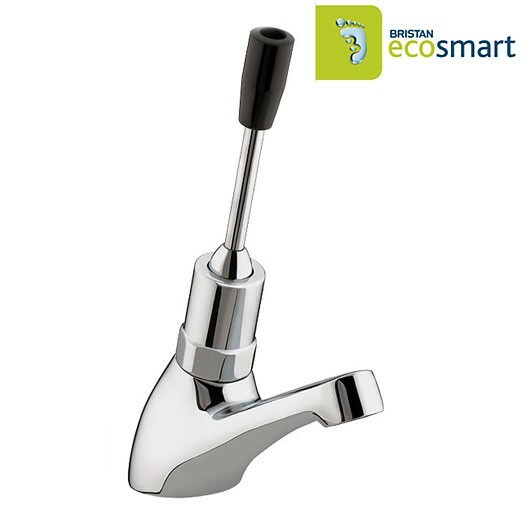 Self closing taps are a simple and effective way of saving water and energy costs. With an approximate 9 second shut off they are an excellent option for commercial settings. 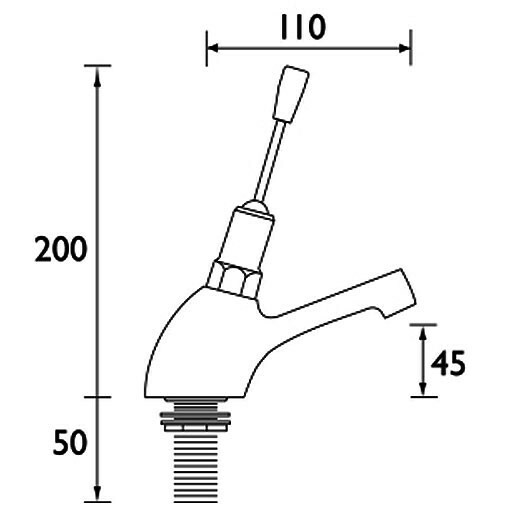 This self closing tap is supplied with a 7 litre per minute flow limiter. This is a useful tool for extending the taps water saving capabilities particularly with higher pressure water systems. It is vandal resistant and is therefore an excellent choice for all commercial settings including unsupervised public access washrooms.The push button handle makes this tap accessible to all users. This single toggle lever basin tap is single feed and is supplied with a choice of a blue or red indicator (shown at the top of the handle). If being used to supply hot water a thermostatic blending valve is also required for delivery of safe hot water. The single toggle lever self closing basin tap is only available in chrome finish as shown.